Only a few days remains in 2012. This is good time to look back (or retrospect) this year. 2011's post is here. The biggest event was launching Sqale. I engaged Sqale from the beginning of the project. I did my work for various part in the codebase. We use GitHub heavily so code review became usual thing. Sqale is still under development stage so I have to do more work through the project, especially operation field. Almost of the time I worked with Kohei Hasegawa. I learned much things from him about Rails ecosystem. My another project 30days Album was grown steadily. Hiroshi Shibata and Mayoto Yoshida made much improvement of this project. I was hepled by them very much. At April I became a senior engineer at paperboy&co. The evaluation process was open and the evaluation result was clear. I think this is one of the best evaluation system for engineers. It works very fine in my company. I reglet that I cannot be an advanced senior engineer at latest evaluation process, but next year I want to do my best. 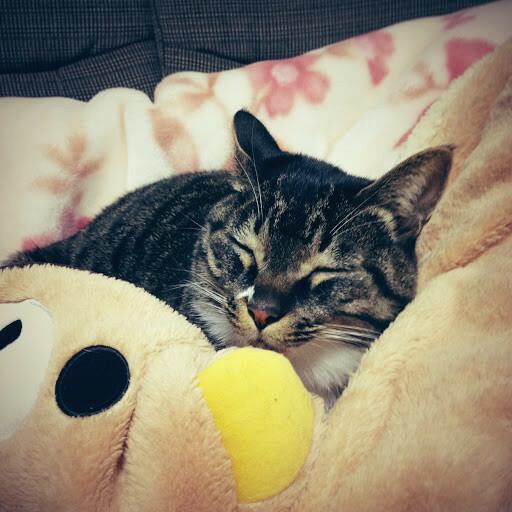 I and my wife had a cat from Janually. His name is Nekoru. He changed our life dramatically. Our life revolves around him. He makes our life happily, so we're very happy. We hope to live with him forever. My physical condition was enough, but after the RubyConf Taiwan I got out of shape. I should to try more exercise next year. I read some good book in this year. Kindle was helped me to read books anywhere. Working with Unix Processes was the best, Crafting Rails Applications was second. I also joined the review process of リーダブルコード (Japanese translation version of The Art Of Readable Code). It was precious experience for me. At the private time I did more code than last year. I made two gems, I sent some pull requests. The frequency of writing blog was a litte slow down, but I will continue blogging in my pace. Learning english was so-so, but progressing guradually. I think the continuation is most important so I would like to use english more commonly. 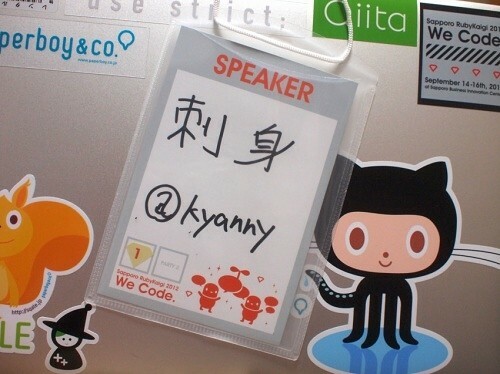 I talked at Sapporo RubyKaigi 2012 and RubyConf Taiwan 2012. I got my confidence to speak at (semi) international conference. I feel I was one step closer to the oversea conference. I attended some local community meeting such as Shibuya.rb and Asakusa.rb. I often learned about inetersting topic from the community. Thank you for my friends. My 2012 was a good year as a whole. I hope to make 2013 also good.